One of the types of questions I get asked a lot over on our Twitter and Facebook pages, (right after the obvious... what are the best headphones?) are questions about what are the best types of headphones for specific situations, are earphones better than earbuds? or should I buy custom earphones? Lots of people are still unsure about whether earphones, custom in-ear monitors or earbuds are right for them. Ultimately, there are pros and cons to all these different styles and what will work best for you comes down to a number of factors ranging from, cost, function, environment, ergonomics and styling. If you are looking for a specific type of earphone we have also put together some hand lists and top 10's to help you narrow down the best option for your needs. What are you using your headphones for? The best starting point I can give for anyone who needs help in choosing a set of earphones is to buy according to the way they will be used. Yes, you may find yourself swayed by online hype and slick marketing but it's time to think with the head rather than the heart. How do you intend to use your earbuds? Where will you be listening to them and what are your intended outcomes and expectations for the purchase? Perhaps giving a little slack in one department for some better features in another could be a better option. For instance, I don't know how many times I have seen people forgo comfort in search of sound and ultimately be left with a disappointing overall user experience. Have a think about this, think about the drawbacks of the earphones you are looking at just as much as the positive. Then weigh them all up and refer back to that question just before you hit that buy button. Are these headphones really going to achieve what I want? Are the perhaps better-suited options out there? Earphones are, in our opinion, a set of in-ear headphones which sit inside the ear canal. They are usually inserted into the ear and held in place through a silicone, rubber or foam ear tip which creates a seal with the inner canal. Another variances of in ear headphones that you are likely to see, is, of course, the earbud. This style does not sit inside the canal but is more similar to a mini speaker which sits just at the entrance to the ear canal and is held in place by the outer ear. 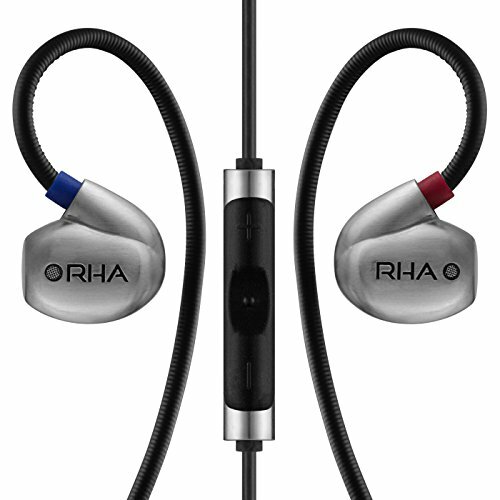 Traditionally this design is associated with bundled junk from electronics of yesteryear but there are now a number of companies making some excellent sounding earbuds aimed at the audiophile market. Finally, the other and far less common choice out there and one that is more commonly associated with audiophiles and musicians is, custom in-ear monitors, otherwise known as CIEM's. CIEM's are custom molded earphones that are made to fit your own ears. They are expensive when directly compared to universal earphones but with that expense, you get to tailor the listening experience more to suit your own needs. Earphones are perfect for people who like isolation as they are typically quite good at blocking out external noise. This makes them perfect if you usually find yourself listening to music in moderately noisy environments such as public places like offices, gyms or when commuting. Not all earphones are created equal however so take the time to check out the amount of isolation you get (usually in the form of decibel reduction) before buying if this is a priority. The best isolating earphones I have tried to date are the Etymotic ER4. The sound awesome and block out a lot of external noise but many others will do a similar job. Earbuds, on the other hand, are pretty terrible at reducing ingress of environmental noise. That's just simple physics in that no seal to the ear canal is being created and thus there is no barrier to entry for said sound waves. Definitely, avoid buying earbuds if you isolation is high on your list of priorities. I will call this a tie between Custom In-ear monitors and earphones as both of these styles of earphones tend to see the most radical advancements in technology. Earbuds, by comparison, feel dated and somewhat stagnant although there has in recent years been a resurgence in creating new earbuds. Nowadays the portable audio hobby is becoming ever more competitive and that competition has led to many companies pushing the boundaries of style build and sound in ways we could only have dreamed of just a few years ago. Now we can choose from so many setups it can be dizzying. We have the option of wirless models, hybrids multi BA's etc. Some companies have even brought out orthodynamic and electrostatic models which just a few years would have seemed impossible. How will you use your headphones? So the first thing is are you going to be moving about a lot or will you be fairly stationary? It's well known that in-ear earphones (the ones with the rubber or foam tips which sit inside your ear canals) tend to stay in place better than traditional earbuds which sit inside the outer ear. For example, I might get what is the best headphone for cycling, what earbuds should I use for traveling? or if you were in a knife fight with a bear what would (obviously you want to go Bluetooth lest you get yourself tangled in the wires. Well just for a little fun I'm going to go for the best earphone I would use in particular situations because... sometimes...out and out sound quality is not all that matters. This, of course, is very subjective. Some people do have an issue having something stuck inside their ears. Earphones can be uncomfortable when the ergonomic design does not match up to your needs. So you would think that the obvious winner of the most comfortable earphone category would be in ear monitors. After all, they are custom fitted and molded to suit you. Well no actually, not in my experience. The main benefit of custom in-ear headphones is way more around getting a good tight seal than actual comfort. Over a period of a few hours they I usually need a break. Additionally, getting a good fit "out the box" isn't as simple as you might think. In fact you may have to send your earphones back a number of times for reshaping to get them sitting just right. Universals, when done right though, can be a godsend. That's part of the reason I am such a fan of the new Campfire Audio Vega and the Final Audio Design e3000, they just seem to sit perfectly in my ears. Both are true set and forget earphones that will make you forget they are even in your ears. Finally, earbuds can lie somewhere in the middle. Wide diaphragm drivers can tend to make the circumference of the housing uncomfortable on smaller ears but others, who don't enjoy something sitting directly inside their ears will find earbuds the best solution comfort wise. Don't wear headphones at the gym. You look like an idiot with your full size beats headphones on and it is just about the most cumbersome thing you can wear when trying to be all kinds of athletic. So that leaves us with earphones as the ultimate solution for listening to music whilst working out. In this category, there really is no clear winner as it is so dependent on what you are doing. I could see a valid argument for each style of earphone depending on the task at hand. CIEM's stay in place no matter which way you move, it's reassuring to have them so securely locked in place. They are however pricey and the focus of companies using BA drivers may lack the bass you need to get you through a workout. If fact this is one reason you so often see professional musicians with this style of earphone on stage. They stay put better than anything else. The other advantage of CIEM's when working out is if you want to block out the external world. The high levels of isolation will help block out surrounding distractions and let you focus on the workout at hand. Universals can be picked up cheap and if you get a set of over ear monitor style cables will remain well seated and less prone to falling out. 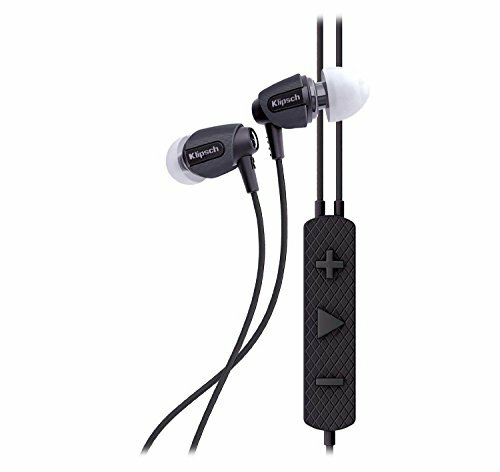 There is also the added benefit of a number of custom rugged style earphones designed specifically for working out. They isolate well enough and are easy to take in and out. The availability of universal earphones at a low price is beneficial because if you damage them they won't be as expensive (or take as long) to replace. Earbuds do not stay as locked in place as the other two options and they won't isolate you in a noisy environment but that can sometimes be a good thing. If you a running or cycling in a built up environment the best earphones would be ones that allow some level of external noise in. Of course for both those activities, I would recommend not using any headphones at all. Yup looks are and styling is definitely going to play a big part in picking a headphone. This, of course, should be secondary to sound, comfort & price etc but there's no doubt you will want a cool looking set of earphones. Custom In Ear Monitors are the kings of stylish headphones. Nowadays thanks to companies like Noble and Cosmic Ears you can have them designed almost any way you want. There is also the added benefit of custom cables being able to add that extra bit of flair. Universal are going to offer you less chance to add your own special touch to the earphone design but there are still an awful lot of incredible looking earphones to choose from. The Campfire Audio Andromeda, Noble Audio range and Fitear 334 are all pricey and gorgeous picks but event the KZ ZST at under $20 will cause heads to turn. Again earbuds fail to impress just because they have become so synonymous with the cheap junk we used to get bundled with electronics in the 90's and 00's. As a general rule, they are pretty terrible but I still find the red version of the VE Monk attractive nonetheless.